A total of 98% of hybrid cars don’t match their advertised MPG, with some returning just a third of their official figures. The research by consumer motoring website HonestJohn.co.uk analysed 148,000 real MPG fuel reports submitted by UK drivers and discovered that hybrids and plug-in hybrids (PHEVs) have the highest gaps between official and real-world figures. The data suggests the Mercedes-Benz C-Class C350e is the UK’s worst performer, achieving just 36.9% of its official fuel economy, while the BMW 3 Series 330e and Volkswagen Golf GTE are the second and third worst with a respective 37.2% and 38.1%. The Mitsubishi Outlander PHEV (42.5%) and BMW 2 Series Active Tourer 225xe (56.4%) complete the bottom five. In contrast, the Lexus GS 450h tops the ranking when it comes to achieving the highest percentage of its manufacturer fuel economy figure, returning an average of 84.2%. In second place is the Toyota RAV4 Hybrid 2WD (79.3%) followed closely by the Toyota Yaris 1.5 VVT-I Hybrid with 77.9%. The final entries in the top five are the hybrid versions of the Kia Niro (77.4%) and Toyota C-HR (77.2%). Analysis published late last year by mileage and expenses management specialist TMC found that when PHEVs aren’t deployed correctly, they can be the most polluting vehicles on the fleet – in particular when being used for longer journeys when drivers just rely on the petrol or diesel engine instead of using the electric-only range. 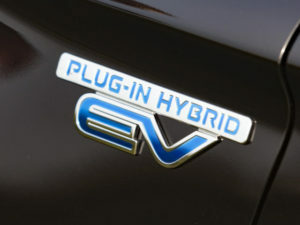 As a result, fleet industry association ACFO has repeatedly warned of the need for PHEVs to be used appropriately, highlighting that the fleet industry is “awash with stories of company car drivers choosing plug-in hybrid vehicles in pursuit of lower BiK tax bills, but not reaping fuel economy savings”. The association – which has been calling for some time for Advisory Fuel Rates for plug-in cars and recently launched a petition urging HMRC to expedite them – added that fleets were incurring early termination charges by returning such vehicles to leasing firms ahead of the end of the contract. The new figures from the Honest John website comes as the new car market switches over from the NEDC (New European Driving Cycle) test for new cars to the Worldwide harmonised Light Vehicles Test Procedure (WLTP), which is already bringing higher CO2 figures – and therefore fuel consumption – for new cars. A new study from Cap HPI of more than 600 models from all vehicle sectors found that petrol plug-in hybrid CO2 values increased the most – by 27.3% – under the switch to WLTP ‘NEDC Correlated’ figures, while diesel engines were up by 12.6%. Petrol cars averaged a 7.3% increase, while petrol hybrids were at 7.8%. Overall, the study indicated a rise of 10% in CO2 emissions across all sectors.